Or should I call you Baarrrruce, like your Italian grandfather (and mine) would have said? I’m well into your autobiography now, a week after it was released and well, I thought I’d sit down and write you a letter. Writing to rock stars isn’t something I do, but I’m going to make this an exception to my rule of trying avoiding celebrities at all costs. 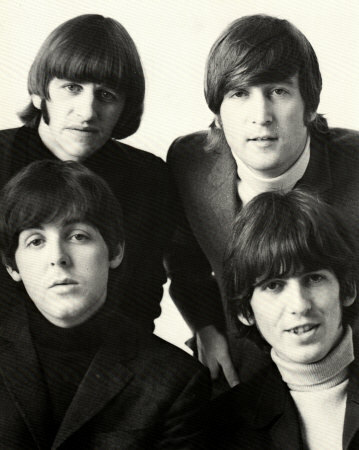 First things first, I need to thank you for talking about the first time you saw and heard the Beatles when they invaded America via The Ed Sullivan Show in February 1964. How appropriate that you would bring it up in Chapter 9 (#9, #9, #9) of your book. Your love and admiration for the Fab Four open the door to my being able to write this letter to you in my blog. You see, Bruce, I too lived in Freehold. Unfortunately, when I was walking in, you were walking out. We moved to 62 Derby Drive in early 70’s when there was a housing boom going on outside of town. I was just 5 years old and my Italian father and Scot-Irish mother moved us down from the tough town of Rahway. Those were the days in Freehold when we could ride our bikes the one mile to the Burger King or 7-Eleven at the intersection of Route 9 and Schanck Road to buy ourselves a 25 cent candy bar. It didn’t take much for you to draw me into your story. You had me at “Nescafe“. The smell of the coffee in the air (especially on foggy mornings), was one of those ‘ya had to been there’ moments that we Freeholders will never forget. You opened your back door in the morning, closed your eyes and took a deep breath. I can still smell the coffee to this day if I try hard enough. And the Jersey Freeze…oh, you were lucky. In the 6 years we lived in Freehold, I think my parents may have taken my two brothers and me there just once. I just remember looking on in wonder at the giant cone on the sign out front as we drove around the Freehold Racetrack circle. My dad took me to the racetrack more times that he took us out for ice cream! My brother and I both took piano lessons at Caiazzo’s Music when it was on South Street. That didn’t last long for either of us, but I did end up taking gymnastic lessons in a studio’s basement when I was 10. Who’d a thunk that you would make that little shop famous and I’d have the bragging rights to “I took piano lessons where The Boss bought his guitar!” And yeah, that does impress people. Just saying I grew up in Freehold seems to have impress various friends and people over the years even though I only lived there until I was 11. Well Bruce, I’ve spent the past 40 years living in Chester County, PA. You’re familiar with the area…we’re right up the road from where The Main Point was and just a stones throw from The Devon Horse Show grounds where your daughter has competed for the past 3 years. But the Jersey girl in me has never left and I still have dreams of being on Derby or Ascot Drives, driving down Stonehurst Blvd., and wandering around the shopping center at South Street and Route 9 across from the Burger King. Today, I have several Currier & Ives prints hanging in my house that originally hung in the American Hotel to remind me of Freehold (my parents bought them when they auction off the contents of the hotel in 1987). And I can still smell the coffee…. I need to go back to reading your book now, because the record company, Brucie, just gave you a big advance! Gosh, Jenn, that was lovely! (Are his reminiscences as well written?) Looking forward to reading Bruce’s reply in your blog….